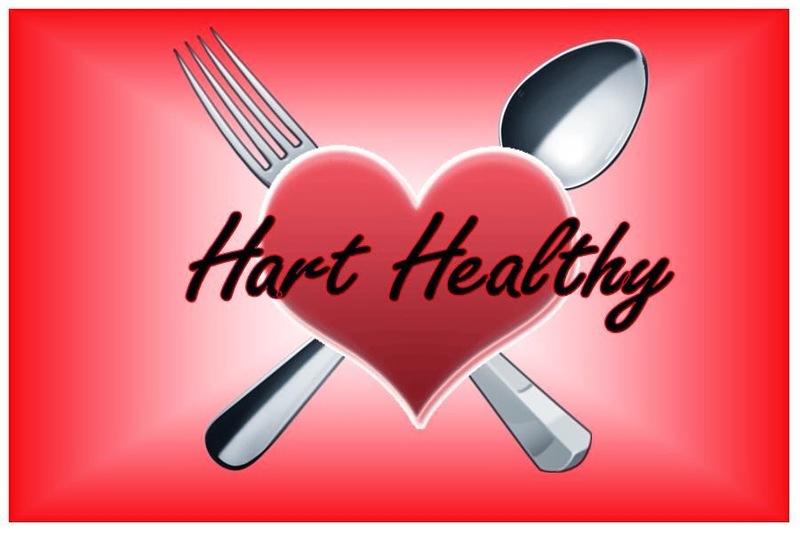 Welcome to Hart Healthy! I'm Amy Hart and one of my passions in life is to help show others that eating "better-for-you" still tastes great! I love to wind down my weekends on Sunday planning dinner menus for the upcoming week. Whether it's an original recipe, a recipe from one of my go-to resource sites, or something from my 101+ cookbook collection, this blog is designed to offer healthier lower calorie options to those who want an answer to the question, "What's for dinner?" Enjoy! Preheat oven to 375 degrees. Line a baking sheet with parchment paper. In a large bowl toss potatoes, 1 tsp. olive oil and ¼ tsp salt. Spread cut side down on baking sheet. Bake for 30 mins. In a small bowl whisk 1 TBSP vinegar, 2 tsp. olive oil, thyme, pepper, and 1/2 tsp. salt until combined. Set aside. In a large nonstick skillet, combine blueberries, 2 TBSP vinegar, and 2 TBSP water. Heat on medium and cook stirring occasionally until blueberries are soft enough to pop when pressed gently with a heat-proof spatula, about 5 mins. With spatula, smash the blueberries. Add the pork, nestling beneath the blueberry mixture and cook for 3 mins. Turn and cook for 2 more minutes. Remove from heat. In a separate large bowl, toss potatoes with remaining 1 tsp. olive oil and parsley. In a medium bowl, toss lettuce and vinegar-thyme mixture. Divide lettuce, potatoes, and pork among plates. 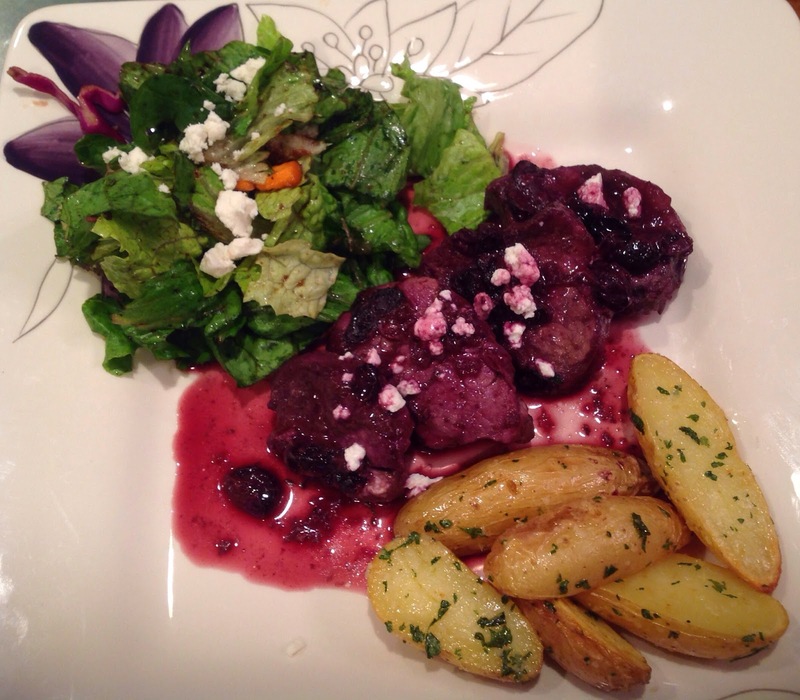 Top pork (and salad if desired) with a few crumbles of the goat cheese.